Duane Cochenour is a litigator specializing in the representation of medical professionals and is Co-leader of the firm’s Insurance Coverage Practice Group. He has a unique perspective, with almost 20 years of experience as an insurance claim professional prior to becoming a lawyer. He knows exactly what it is like to be an adjuster, supervisor, regional claim manager and major case negotiator, because he has worked in each of those positions. He draws on this vast experience to defend clients in various types of serious bodily injury and property damage litigation. He also specializes in insurance coverage and bad faith litigation, regularly providing guidance on complex coverage matters to major insurance carriers. Mr. Cochenour is also a certified mediator and a member of both the Georgia and Florida bars. Mr. Cochenour specializes in representing hospitals, physicians and other health care providers against claims of medical malpractice. In addition to routinely defending these cases in both Georgia and Florida, he is also part of a team of litigators who defend catastrophic cases across the country as part of the firm’s National Trial Counsel Program. However, he keeps a varied litigation practice, representing clients in negligent security cases, motor vehicle accidents, premises liability accidents, construction disputes, and other types of bodily injury and property damage litigation. Drawing on almost three decades of experience interpreting insurance coverage, Mr. Cochenour is one of the leaders of the firm’s Insurance Coverage Practice Group. He regularly provides coverage opinions and other guidance to major insurers on complex coverage and bad faith cases. His vast experience in the insurance industry, coupled with his experience litigating coverage and bad faith actions, gives him a unique perspective in guiding and defending insurers in coverage and bad faith disputes. He regularly litigates declaratory judgment and bad faith actions in both state and federal court. Mr. Cochenour started his insurance career as a claim representative with Liberty Mutual, but spent the bulk of it with St. Paul Insurance Company. He managed territories throughout the Southeast and, as a major case negotiator, handled catastrophic claims throughout the country. He has experience in many types of high-exposure claims, including medical and dental malpractice, construction defect, negligent security, automobile, defamation, long term care, excess liability and bad-faith/extra contractual claims. He was also designated as an internal resource on coverage matters at St. Paul, teaching liability coverage courses internally to adjusters and supervisors. This experience gives Mr. Cochenour a unique insight into how to meet the needs of his insurance clients. Mr. Cochenour excelled academically, graduating 7th in a class of over 150 students at the Georgia State University College of Law. He demonstrated his litigation skills early, leading a team that placed second nationally at the prestigious National Trial Advocacy Competition held annually at Michigan State University. He also received the Nai Karimimanesh Award as the top student in Advanced Evidence. “Timing is everything: Liability and Limitations.” Claim and Underwriting units at Crum & Forster. Sept. 2014. “Tort Reform in Georgia: A current status of the 2005 tort reform.” Zurich Medical Professional Liability Claim Department. April 14, 2010. “Cross Examination of the Plaintiff in a Personal Injury Case” Presented at: “Inside the Courtroom: The Trial of a Personal Injury Case” Institute of Continuing Legal Education in Georgia September 20, 2012. “Diminution of Value in Property Loss Claims” presented at the US Law Spring 2013 Client Conference in Tuscon, AZ. Mr. Cochenour specializes in providing coverage opinions in construction defect cases, litigating those cases when necessary. However, he also brings additional expertise to the table in evaluating these complex cases. Understanding how the coverage issues interplay with the litigation issues in these matters is essential in assisting carriers evaluate their exposure. Mr. Cochenour draws on almost three decades of experience evaluating exposure in complex liability cases. Throughout Mr. Cochenour’s insurance career, he handled a wide variety of liability claims. He has continued that type of varied practice into his career as a litigator. He has litigated numerous types of general liability matters, including negligent security cases, motor vehicle accidents, slip and falls, and monitoring/assessing excess liability claims. Interpreting insurance coverage is nothing new for Mr. Cochenour; he has done it for almost 30 years. He has had to make the decision of whether to pay policy limits under the pressure of a time limit demand in cases involving excess exposure. He has dealt with underwriters, agents, producers, brokers, risk managers and others in the insurance sales channel, which gives him a global framework of practical experience on how the insurance industry operates. This experience gives him knowledge and insight into insurance coverage and bad faith issues that a legal education alone simply cannot provide. He not only provides coverage opinions and guidance to carriers and clients, but also litigates those disputes when necessary. Mr. Cochenour has extensive experience representing hospitals, physicians, and other health care providers. 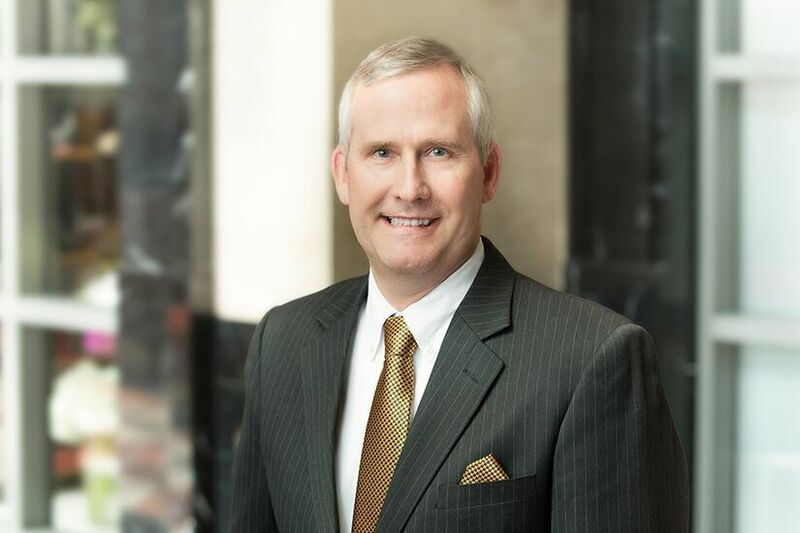 He has litigated medical malpractice cases throughout Georgia and Florida. In addition, as part of the firm’s National Counsel Program, he has defended hospitals and physicians in catastrophic damage claims in numerous other states. Mr. Cochenour also has experience handling complex E&O claims against various professionals, including attorneys, engineers, directors, officers, insurance and real estate agents. His insurance background, as well as his service on various non-profit boards, gives him a broad breath of experience to draw on.